A continuous jet of ink is selectively charged by an electrode then passed through an electric field which directs the droplets either onto the substrate or back into the ink channel. The inks are conductive and very fast drying, based on dyes and volatile solvents e.g. MEK and alcohol. Used for non-absorbent substrates such as metal, plastic or glass, etc. ​Similar to desktop “bubblejet” technology, the print head consists of a series of very small ink jet nozzles which are individually operated to produce drops of ink as required to make up the image. Water or glycol based inks are used, mainly with dyes although pigments are being introduced. For printing on paper, board and other absorbent surfaces. The end product must be stable, homogeneous, completely agglomerate-free and of a sub-micron particle size to prevent clogging of the ink jet nozzle. Where applicable, VOC emissions must be minimised. 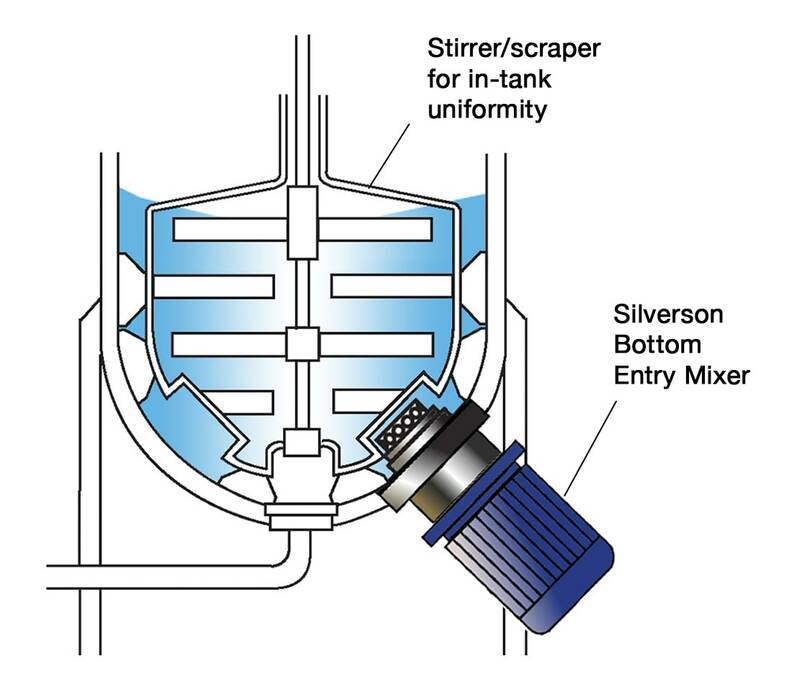 The mixer must provide vigorous in-tank movement to incorporate light powders which have a tendency to float and prevent dense solids from sinking to the bottom of the vessel. Pigments (where used) are premicronised and particle size reduction (milling) is not applicable. The particles may require de-agglomeration and reduction to their finest constituent parts. When added to the base liquid, some ingredients can form agglomerates which agitators cannot break down. Resin and polymer chips or prills are simply washed around in the solvent until they dissolve. This results in long mixing times. 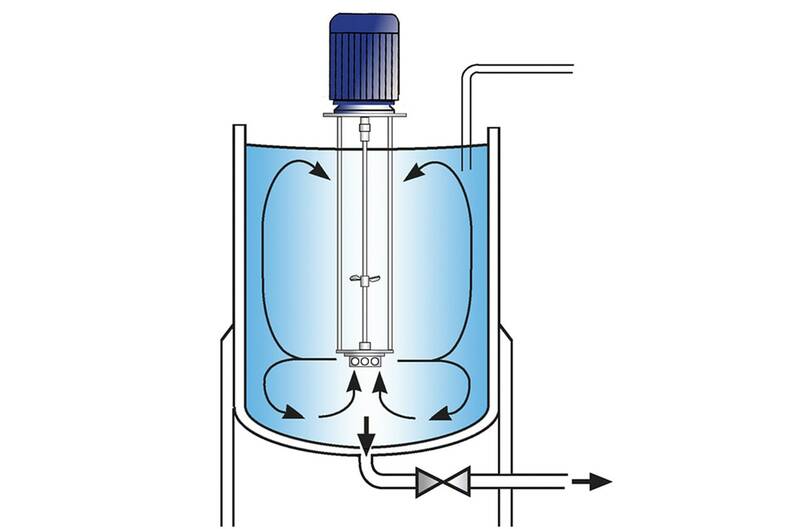 Poor in-tank movement can cause a “scum line” to build up on the vessel wall and allow dense solids to form an agglomerated mass on the base of the vessel which conventional agitators cannot disperse. Additional equipment such as colloid mills may be required to achieve the required particle size. 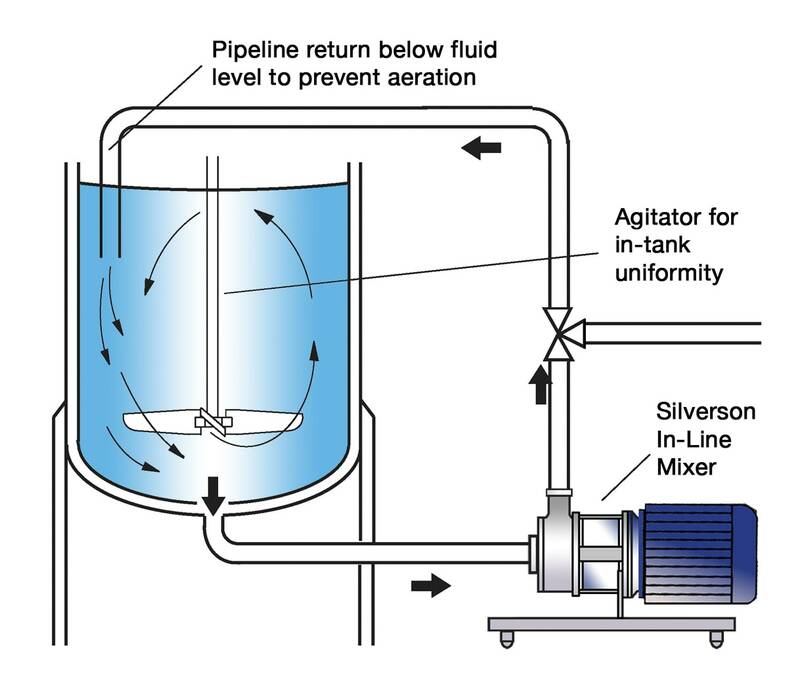 The vessel is charged with the solvent and the mixer is started. Pigments, resin chips, polymers and other ingredients are added. The powerful suction exerted by the high speed rotor draws both liquid and solids upwards into the workhead. Centrifugal force drives the materials to the periphery of the workhead. Solids are disintegrated and agglomerates are broken down as the materials are subjected to a milling action in the clearance between the rotor and stator before being projected at great velocity back into the mix. Fresh materials are simultaneously drawn into the rotor/stator assembly. With each pass through the workhead, particle size is progressively reduced, exposing an increasing surface area to the solvent and accelerating the dissolving process. The need for conventional milling can be eliminated. The intense shearing action is capable of breaking down even hard agglomerates. Shorter process time reduces solvent emissions.